Circolo is the Italian word for ‘circle’ and it was chosen specifically to embody the concept for this new venue. The club is intended to be a luxurious and welcoming space where all patrons become part of one inclusive circle of friends. Conceptual designer, Juan Hernandez, achieved this by creating an interior that combines rustic design features, such as exposed wooden beams and chandeliers, with clean lines and modern technology to create an elegant, contemporary and inviting space. 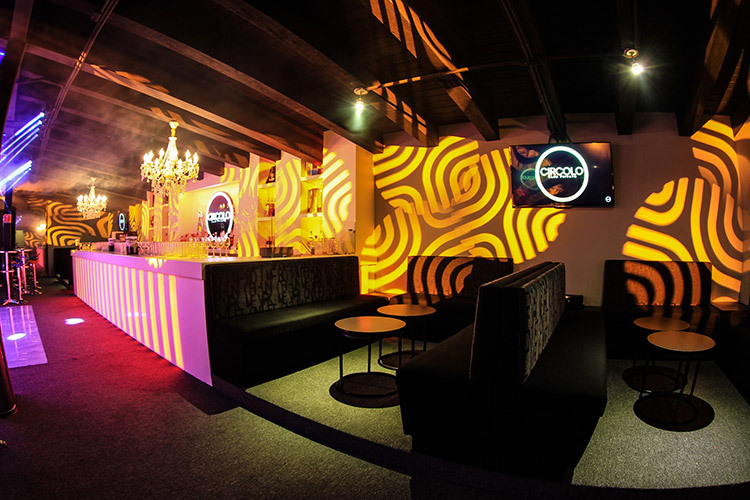 Located in a shopping mall, Circolo is an intimate venue with a capacity of 300. 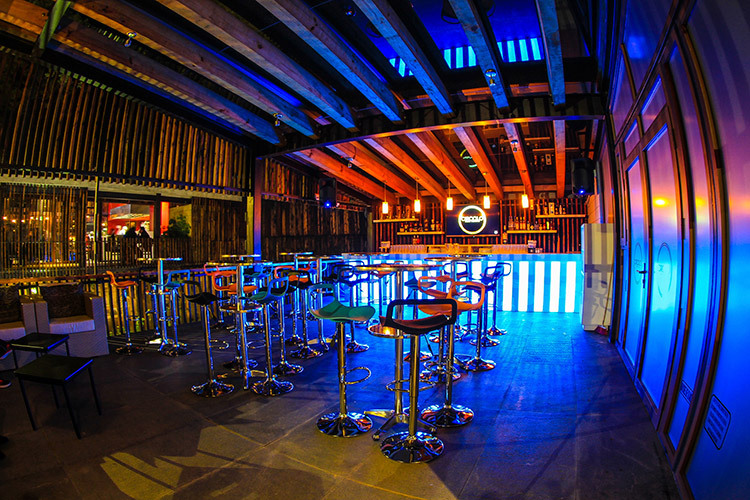 It caters to tourists visiting Valle de Bravo, Mexico and offers a relaxed, ambient atmosphere intended to allow guests to enjoy specialty cocktails and a soundtrack of the latest EDM music. The club is divided into two areas: an inside space and outside terrace, both of which have their own bar. 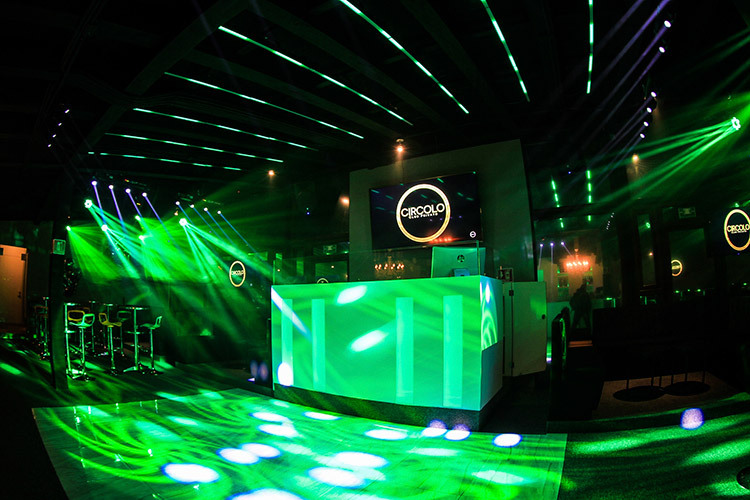 Edson Rivera, the owner of well-established Mexican audio, lighting and video distribution company Adimsa, was responsible for specifying and installing the club’s lighting system. He chose a selection of fixtures from ADJ’s range as well as products from ADJ’s sister company, Elation Professional. The sound system is all JBL. 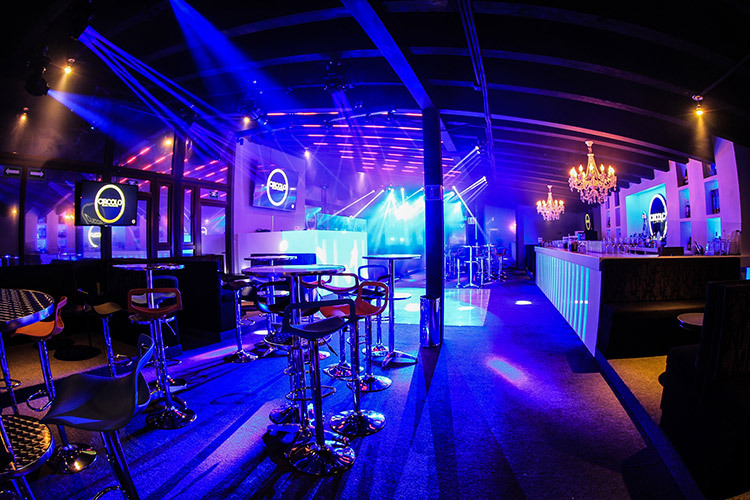 The main club has a rectangular layout, with a feature bar in the center of one of the longer sides and the DJ booth located opposite it on the other longer wall. The small, but perfectly formed, dancefloor is positioned in between, with tall tables surrounded by stools positioned to either side of it. The inside space is completed by VIP booths positioned at either side of the bar and regular booths located to each side of the DJ booth. The outdoor terrace provides further seating areas as well as the opportunity for guests to smoke, which isn’t allowed inside the venue. The combination of Juan’s creative vision; Edson and his team’s technical knowledge; as well a great sound system and reliable and affordable lighting products have proved to be a winning formula for Circolo. It has helped to establish the venue as a popular spot for tourists to let their hair down, enjoy cocktails and dance the night away. 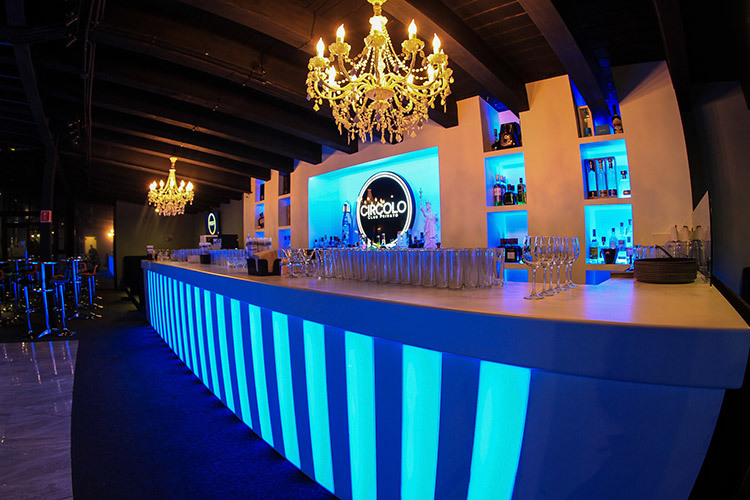 What’s more, the use of only LED-powered lighting fixtures has helped to keep the venue’s energy bills down, giving Circolo’s management another reason to smile.